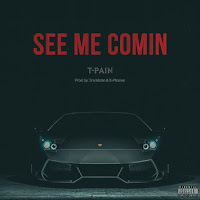 T-Pain drops off new heat, "See Me Comin." The imitable auto-crooner T-Pain gave his co-sign to rising rapper Sahbabii when he dropped off a remix to his break-out song "Pull Up Wit Ah Stick." That was at the beginning of the month, as Mr. Pain seems to be slowly making a return, with a recent string of fairly well dispersed releases, including "THANX." The trend continues this afternoon with an original cut, produced by Dre Moon and X-Plosive. 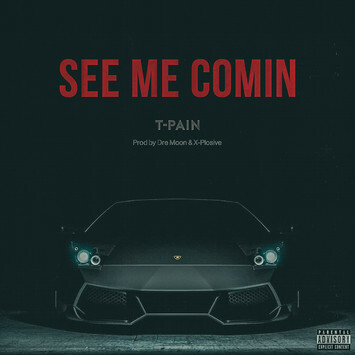 For everyone (like me, apparently) saying T-Pain is making a "return" he prefaces this new release with one hashtag: "#FuckAComeback."